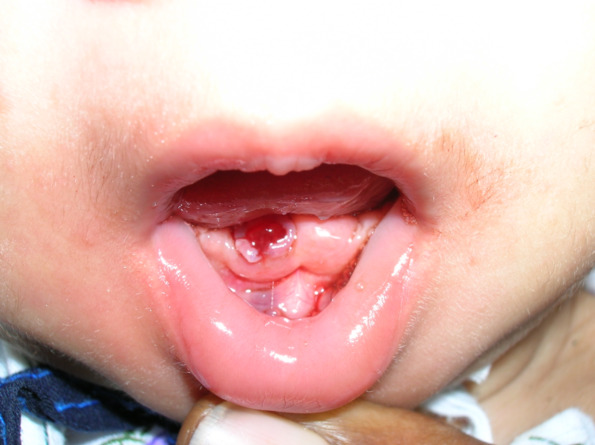 Appearance of teeth (eruption) at or immediately after birth is rare occurrence. These teeth are known as ‘natal teeth’ if present at birth and ‘neonatal teeth’ if they erupt during first thirty days of life. 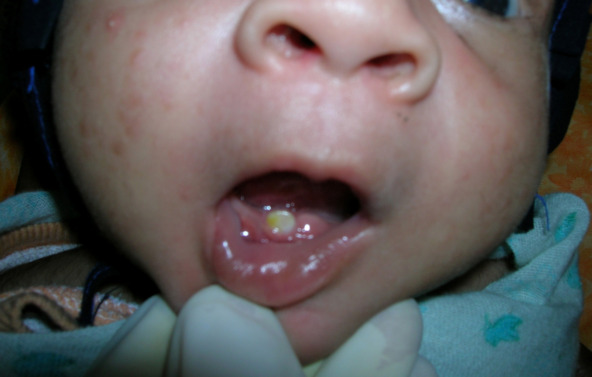 An infant was reported with neonatal tooth in oral cavity which has caused painful ulcers on tongue, also causing difficulty in feeding by mother. 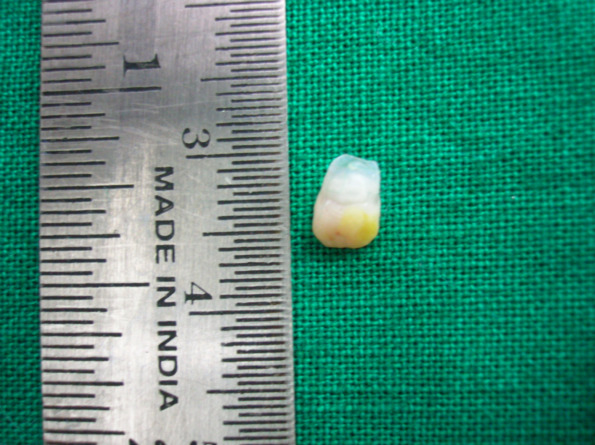 Tooth was mobile, so removal (extraction) of teeth was indicated.